These false eyelashes are made of synthetic fiber and cotton blend line, natural looking which can match your daily makeup. Natural looking style, perfect for , office daily makeup. Come with glue, bring more convenient to you. Carefully take the eyelashes out with tweezers. 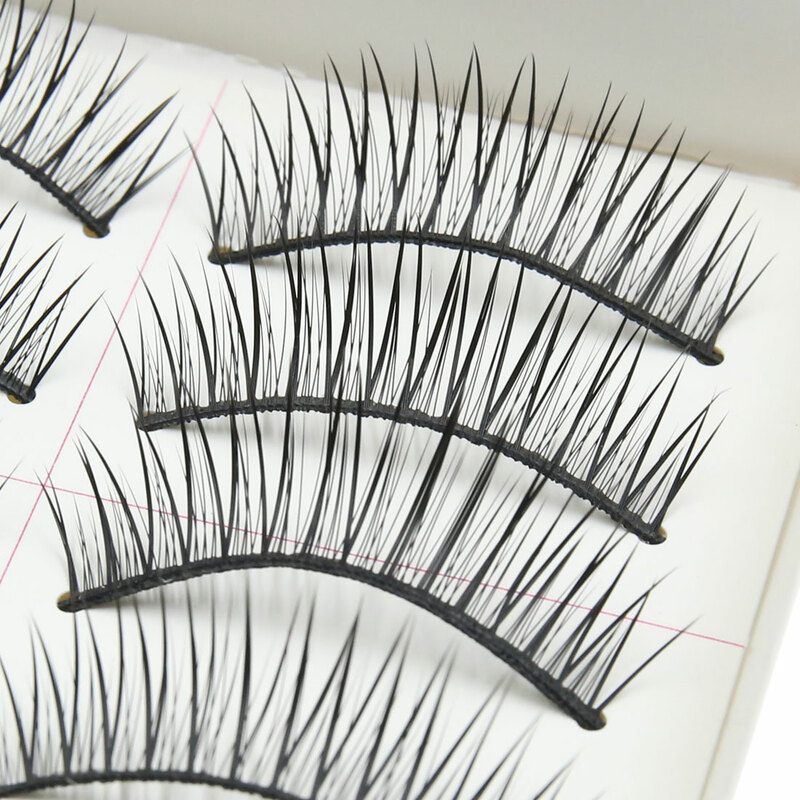 Compare false eyelashes with your eye line length, trim to suitable length and width. If necessary, apply eye shadow or eyeliner will make your eye line look more natural.